Fleet operators, businesses and private motorists worried about the prospect of even higher fuel bills in the New Year following the impending 3p fuel duty rise, can combat any hike in prices with Blue Optimize, a revolutionary engine remap service from Viezu. Offering up to 20 per cent improvements in fuel economy, the award-winning ECU remapping service has been developed to rigorous ISO 9001 standards and can potentially save companies and fleet operators thousands of pounds in fuel bills. “We’re already seeing drivers cut their mileage because of stubbornly high fuel prices. On top of that, millions of motorists, businesses and fleet operators now face a bleak New Year with the 3p per litre fuel duty rise. “However, thanks to Blue Optimize there is a way of reducing running costs without changing driving habits or travelling less. “Indeed, our revolutionary tuning service offers many benefits to motorists. Apart from delivering better fuel economy, Blue Optimize enables reduced CO2 emissions, smoother more progressive power delivery and torque improvements,” said Paul Busby, CEO, Viezu Technologies. Nearly all production cars, 4x4’s and vans can benefit from Viezu’s economy tuning, the result of hundreds of hours research and development at the company’s global technical centre. Among the leaders in its field, Viezu also provides bespoke vehicle tuning and ECU remapping services to some of the UK’s largest fleets. 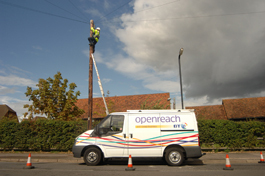 For example, the company is currently working with BT Fleet to deliver a series of major environmental, performance and financial improvements which, it is anticipated, will help BT save over £3 million. The programme will see more than 20,000 of BT’s light commercial vehicles remapped using Viezu’s proprietary technology, to deliver better fuel consumption and reduced CO2 emissions, while also improving vehicle driveability. “While drivers can’t directly influence the price they pay at the pump, Blue Optimize proves that there are significant steps that can be taken to fight back against the fuel duty rise in an attempt to return to more affordable motoring,” added Busby. For more information about Viezu, which has a network of 90 approved dealers across the UK and more than 200 around the world, visit www.viezu.com.